This month on Netflix, I am back into binge viewing mode. 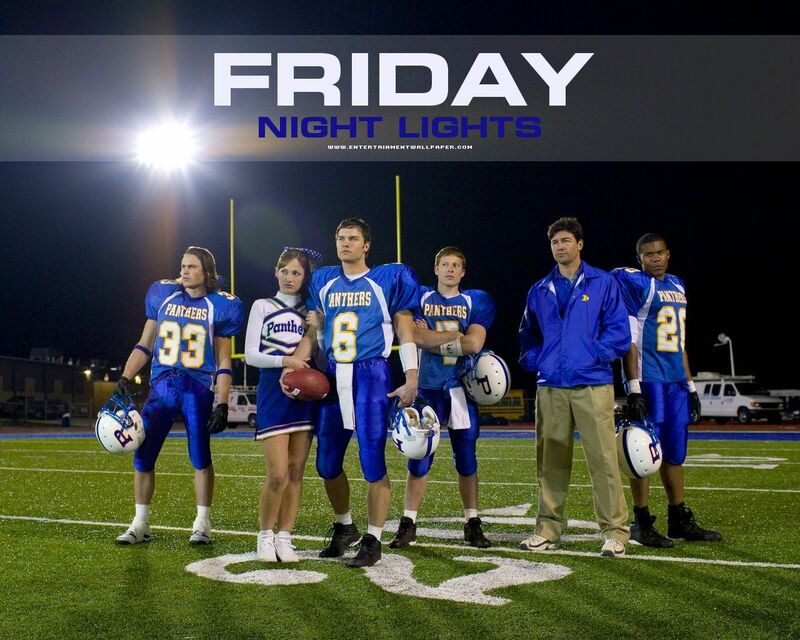 Friday Night Lights is my current box set addiction. It tells the tale of the highs and lows of a high school football team in small town Texas. I love the American South-the music, the food, the politeness accents,the politeness,all “yes ma’am.” I feel like I want to mammy these boys,except for Tim Riggins played by Taylor Kitsch, I want to do unmentionable things to him but that’s ok cos in real life he’s 3 days older than me. Basically if it wasn’t for the latent racism and extreme homophobia, I’d move us all to the deep South but as it stands, I’ll happily make do with a few hours escapism and FNL offers just that. Sure, from the outset it seems like just a other teen based drama but it goes beyond that. You really get a sense of just what life must be like in small town America and you gain an insight into why a team of kids are treated like heroes. It’s shot extremely well-the sporting scenes are very realistic. The characters are well defined and the acting is spot on, with the exception of Kitsch, but that boy sure is pretty so we’ll allow for that. There are three series to get into and I’m already in Season 2 after just one week! The Frenchman has been checking out The Chef’s Table. He normally despises celebrity chefs but this is a show with a difference. 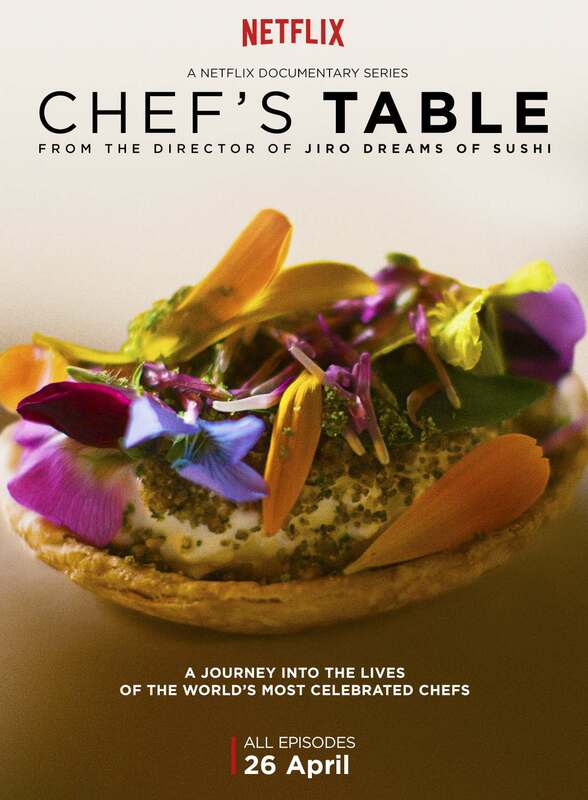 it looks into the lives of six internationally renowned chefs based all over the world. The first episode opens with Italian chef, Massimo Bottura, describing a fully booked service in the midst of an earthquake. It’s definitely one to watch! Our new Sky Box has been acting funny recently so it was Netflix to the rescue with the arrival of everyone’s favourite porker. Yes that’s right, Peppa herself is now available much to the relief of Mini (and mum!). Mini Mini has also declared her love for the pig and will now dance in front of the TV shouting “Piggy!Piggy!Piggy!”. And so it begins…another one lost to the pink demigod. Oh well, back to daydreaming about Taylor Kitsch. Yes ma’am! Disclaimer: I am a member of the Netflix StreamTeam. I received a free Apple TV and a free year’s subscription to Netflix in exchange for monthly reviews. All opinions, however, remain my own humble, honest ones. I was thinking about starting to watch Friday Night Lights and you’ve now convinced me.. Totally agree with loving to move to the South for their manners and chivalry, pity they are a bit far behind on the equality scene though! It’s great!Although so far,season two isn’t quite living up to season one. We’ve no Netflix til we move (again) but I’m bookmarking programmes to watch in the comfort of my partially refurbished ‘new’ home! I’ve bookmarked your boy Taylor. Yeah, I reckon I could even forgive that face for a dodgy Oirish accent! That’s saying something! He is rather easy on the eye! Love Friday Night Lights! Hope you carried on – 1st half of S2 goes awry, but it brings it back and then the rest of the show is amazing. I devoured all five seasons!Like you said it definitely dipped in quality for the 1st half of season 2 but wow, they really pulled it back. Nearly a complete reboot for season 4!What a show.